Keith Gillenwater, President and CEO of the Economic Development Group of Wabash County, introduced himself Monday morning to Wabash County Commissioners. Gillenwater, who began his duties Jan. 5, replaced former President and CEO Bill Konyha, who resigned to become director of the Office of Community and Rural Affairs in Indianapolis. Wabash County Travel Status returned to "Normal"
Wabash County Commissioners declared a local travel watch for Wabash County on Jan. 7 until further notice. The watch was cancelled at 10 a.m., Thursday, Jan. 8. All county schools remain closed. Current temperature is -5 degrees; a 14 mph wind makes it feel like -25 degrees. The deadline to enroll online for the Wabash County 4-H and Mini 4-H programs is Thursday, Jan. 15. The enrollment deadline, set by the Indiana 4-H Council, is about two weeks earlier than in past years, according to Angela Christopher, 4-H Youth Educator for Wabash County. The local enrollment deadline had been Feb. 1. “It used to be up to the individual counties as to what they wanted their deadline to be, and it ranged anywhere from Dec. 15 to clear into March and April. So the state decided to pick one and it picked Jan. 15. NORTH MANCHESTER – Manchester Community Schools will be on a two-hour delay on Wednesday and Thursday mornings, Superintendent Bill Reichhart announced Tuesday afternoon. North Manchester Town Council members discussed the 2015 Salary Ordinance (General Ordinance No. 8, 2014) once again on Dec. 16, voting unanimously in favor of its approval following the third reading. The ordinance, which took effect Jan. 1, includes a 2 percent salary increase for elected officials, while the salary increase for other Town of North Manchester employees will range from 0-3 percent. It’s not too often that Ray Hedstrom, a former Manchester University football player, isn’t looking for an opportunity to help others. 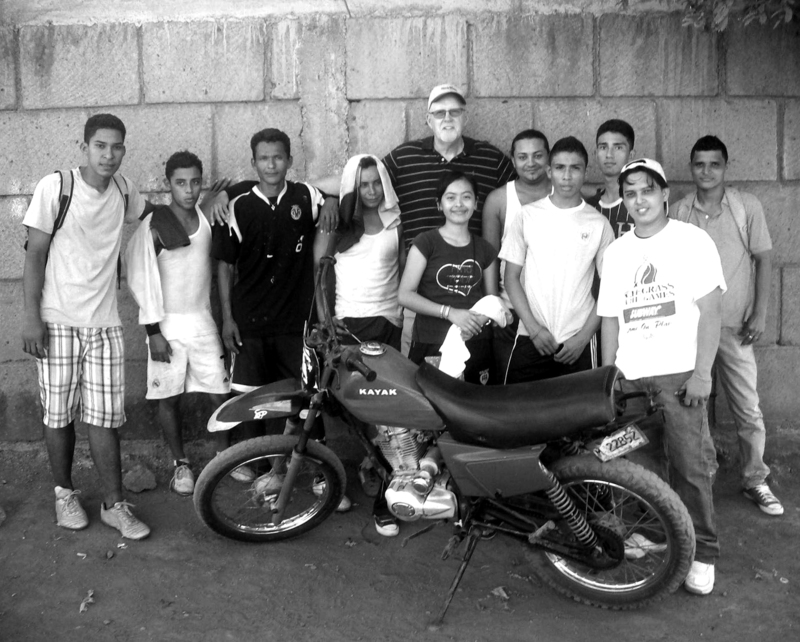 Since 2003, Hedstrom has been a part of a church missions group that travels to Nicaragua and an area in Kentucky to assist communities in need. Filing for the 2015 Municipal Elections will begin at 8 a.m. today in the Wabash County Clerk’s office, Clerk Elaine Martin announced. The filing will continue until noon on Friday, Feb. 6. Martin said the Wabash County Election Board and her office will oversee the elections in the City of Wabash and the towns of North Manchester, Lagro and LaFontaine. The town of Roann, she continued, will have its own town convention when needed. The deadline for filing for the Roann convention is noon Monday, Aug. 3. An 18-year-old Wabash man was killed early Monday afternoon in a car-train accident at the Norfolk Southern railroad crossing on Bond Street. Wabash County Coroner Carol Whitesel identified the driver as Dustin Shepler. According to Wabash Police Sgt. Matt Benson, the department’s Public Information Officer, an investigation showed that at approximately 12:17 p.m., a 2004 silver Ford sports utility vehicle was northbound on Bond Street and failed to yield for the eastbound train.